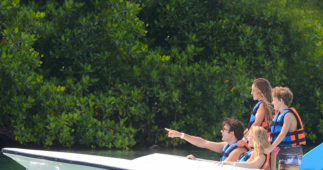 THIS TOUR DOES NOT INCLUDES TRANSPORTATION OR PICK UP AT THE HOTELS. 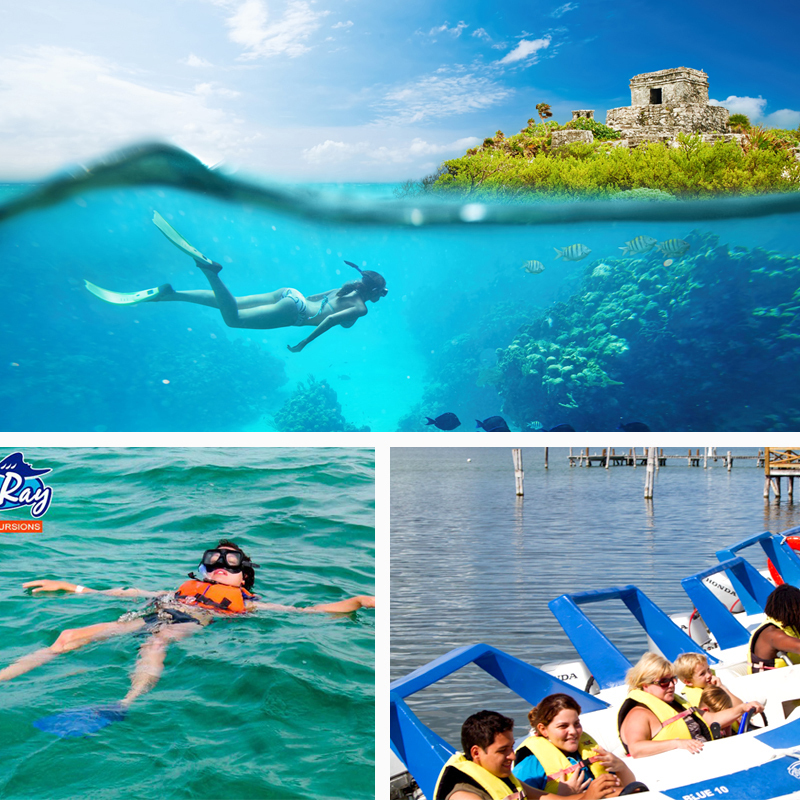 SKU: cancun-jungle-tour-blue-ray. 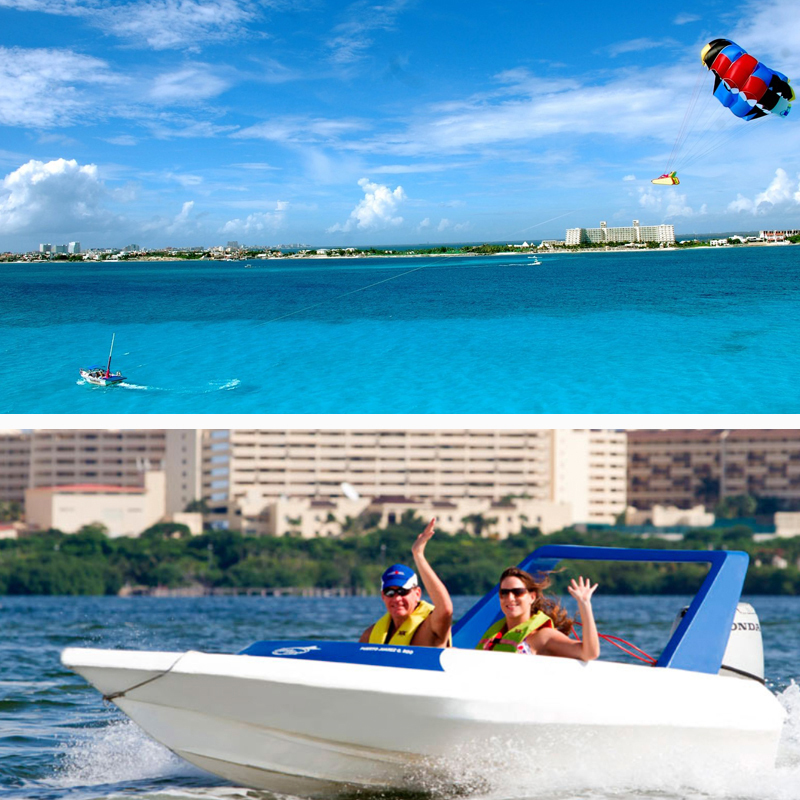 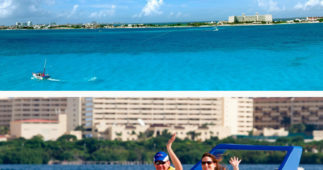 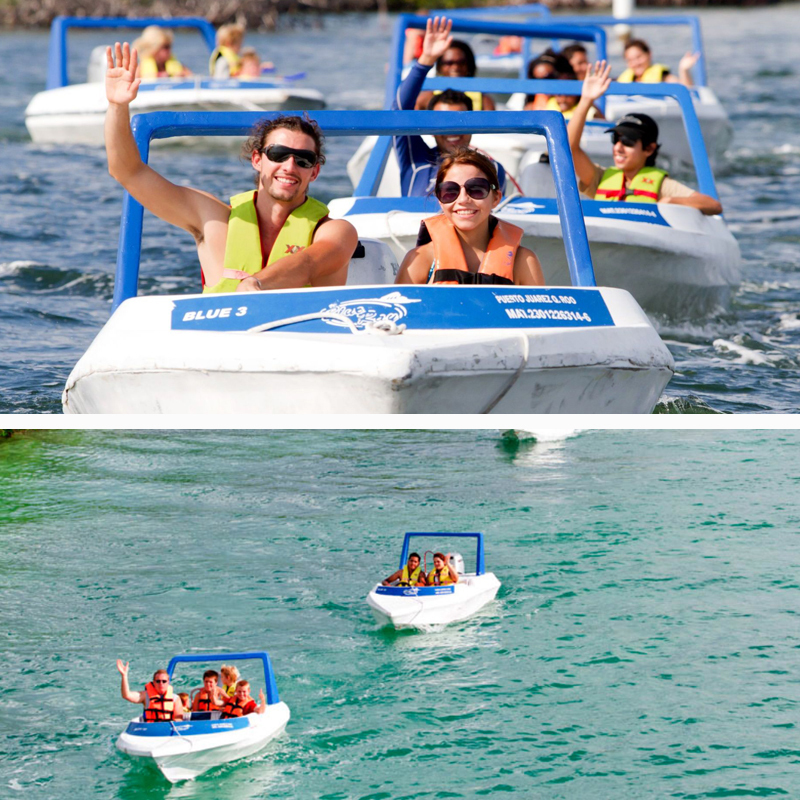 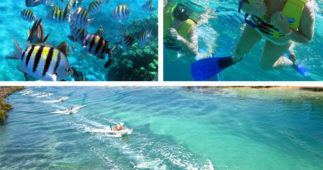 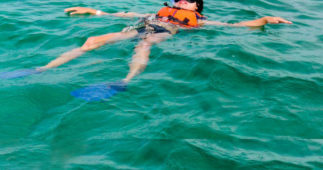 Categories: Cancun Water Sports. 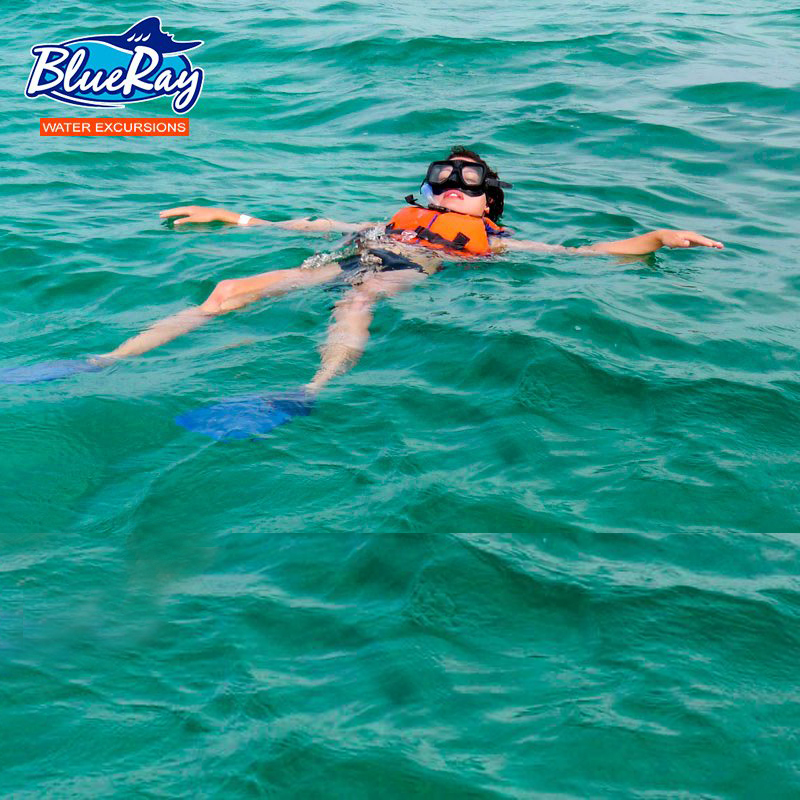 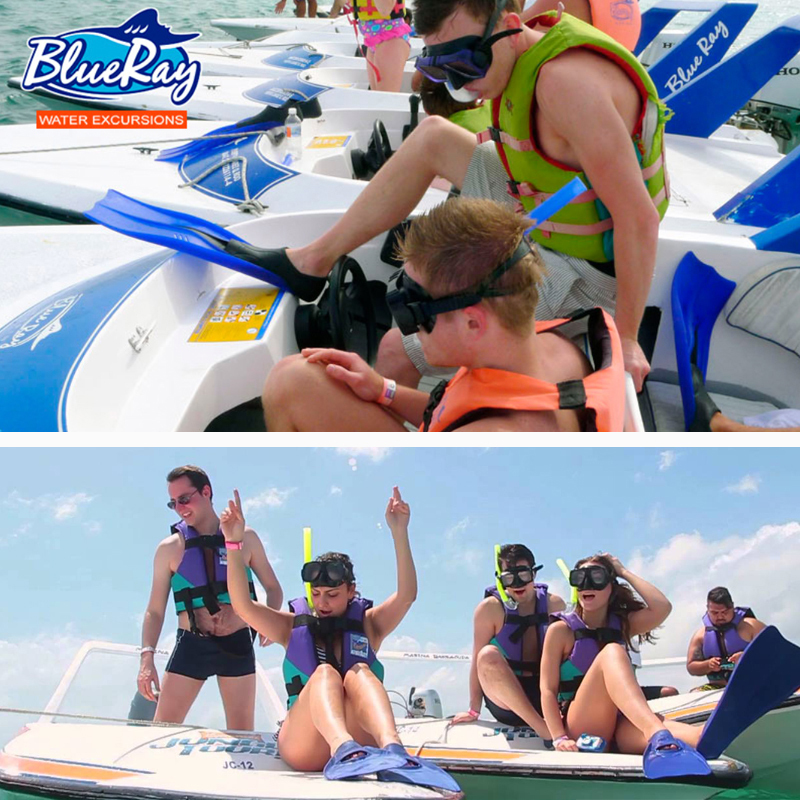 This jungle tour is one of the most amazing water adventures that you will have the opportunity to experience on your next vacation to Cancun. 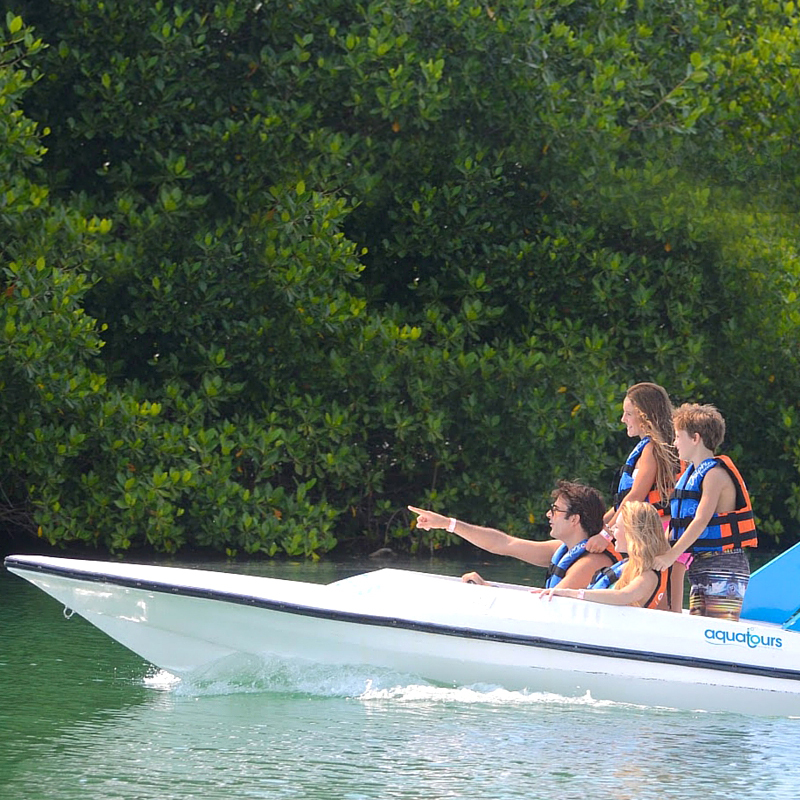 As you drive your own speed boat through the mangroves and the channels of the Nichupte Lagoon at high speeds, there is a place where you will cross under one of the bridges that separates the resort area of Cancun from the main land, as you cross this bridge you will arrive in the beautiful caribbean sea, where your tour guides will take you to to one of the most spectacular and beautiful places, “Punta Nizuc,” part of the world’s second-largest coral reef, once there you will be given the opportunity to snorkel and enjoy the beautiful views. 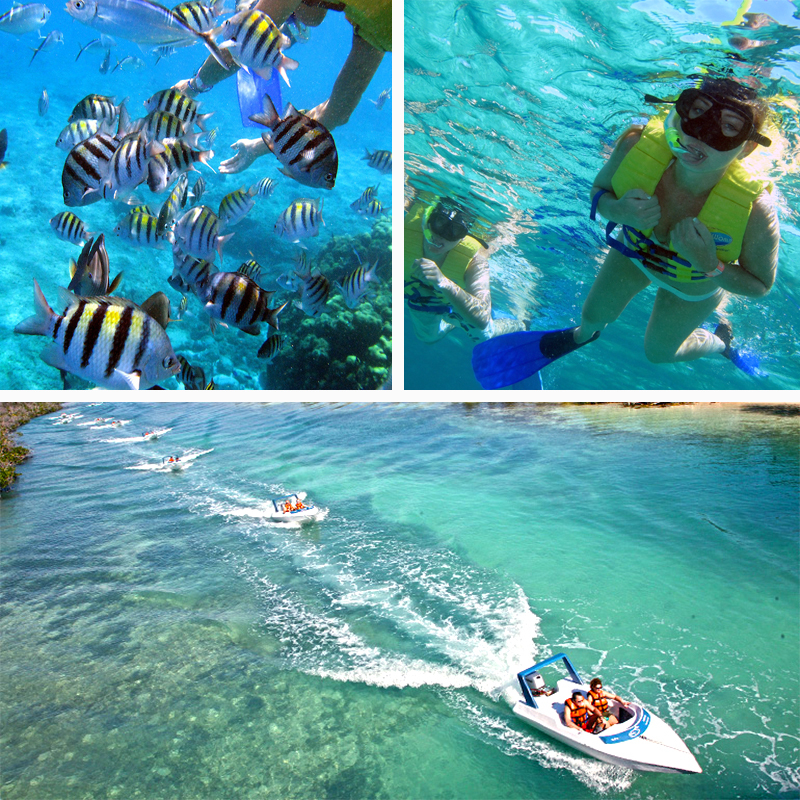 After snorkeling you will have some time to take the perfect photo shoot in paradise. 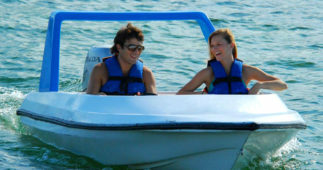 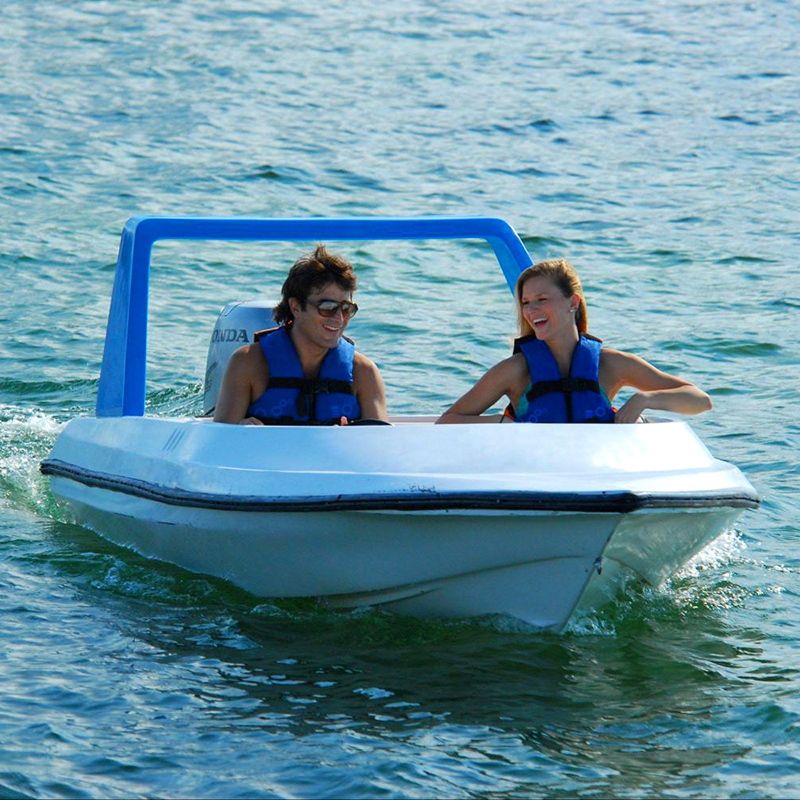 During the return trip back to the marina you can switch drivers so your partner can have a chance to experience what it feels like to drive a speed boat. 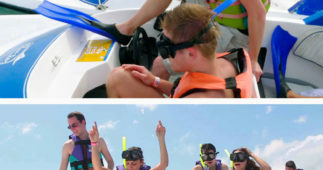 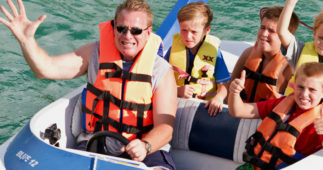 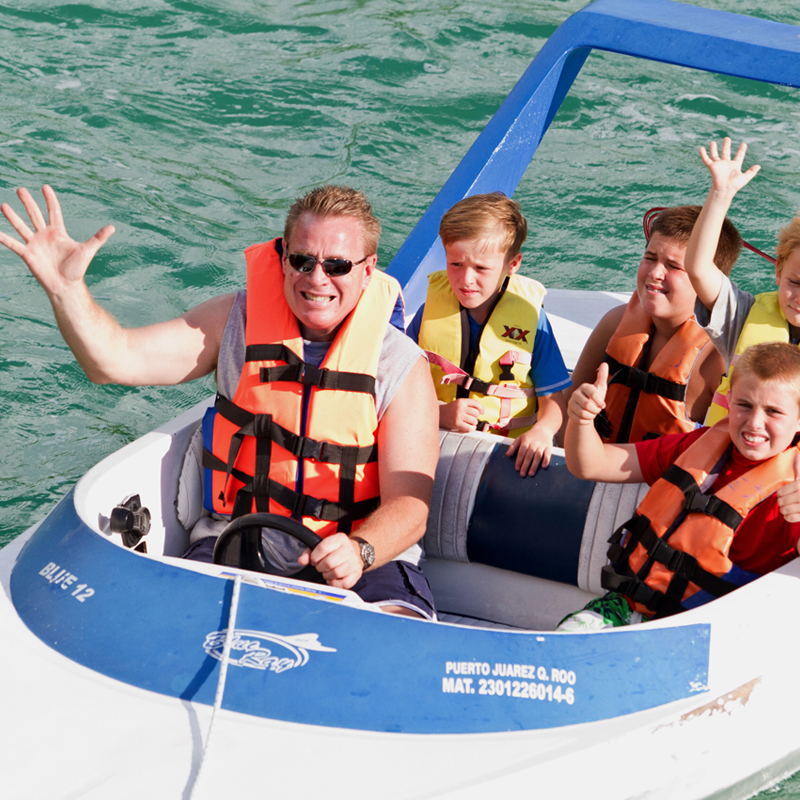 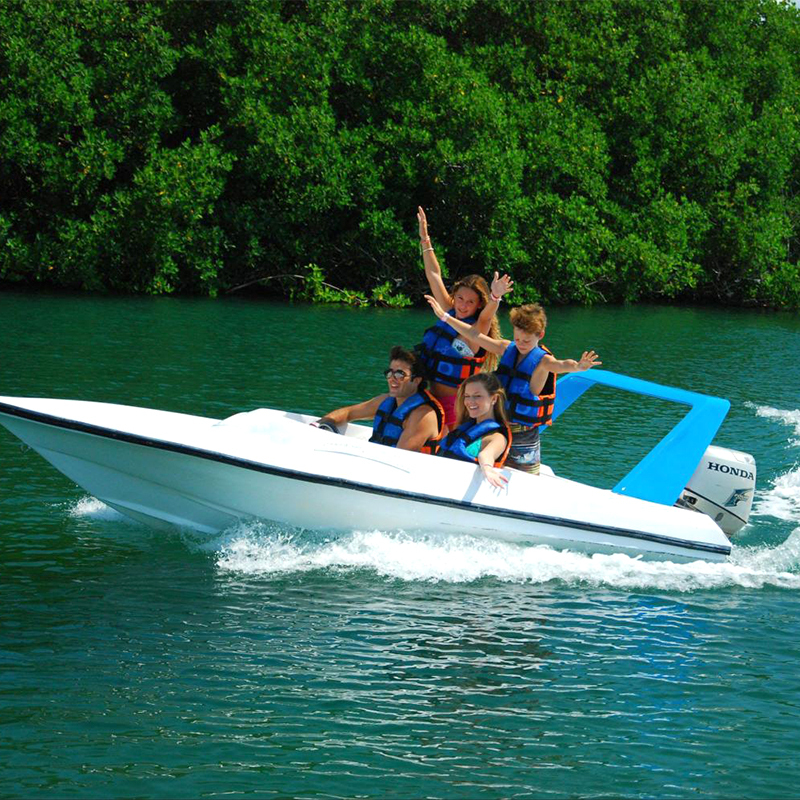 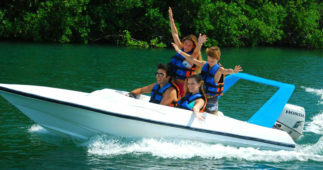 This is a very popular excursion for tourists that want to experience the beauty of Cancun but also love the thrill of speed. 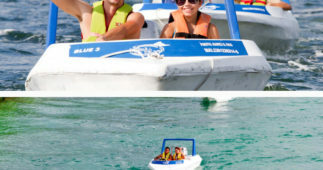 Extra cash for photos, souvenirs and dock fee.